Prisoners who lack a positive purpose in life or believe there isn’t any opportunity to pursue their purpose, often possess a “nothing to lose” attitude. These men pose a terrible danger to prison staff, other prisoners, and the community they may be released to. After losing the appeal of my conviction, I struggled with deciding whether or not I still had the responsibility or even the opportunity to pursue my purpose in life. Fortunately, I was inspired to transcend my confinement. I developed the belief that I was still significant and could achieve my life’s purpose of making a positive contribution to society. How did this happen for me despite my life time incarceration you ask? The answer is simple – The Power of People Leadership and Personal Development Training class (POP). POP class, developed by Brother Shane Price and his wife, Dr. Verna Price, is currently offered at several Minnesota correctional facilities. Although this program is instrumental in developing productive, responsible, community-oriented, and purpose-driven leaders out of incarcerated men, the Minnesota Department of Corrections (DOC) is considering to defund and end the program. This decision will directly affect you and your community. The overwhelming majority of men in the DOC will eventually, if not soon, be released back into your community. POP class has been operating for nearly a decade and is a proven program that develops powerful and positive change in the men that the DOC releases into your community. Out of all the programming DOC allows for prisoners, POP has the best success rate in reducing recidivism. The DOC needs to hear your voice in this matter. The men in prison who need and want change in their lives — your sons, brothers, husbands, fathers, and friends — need your support for this program. The Power of People Leadership Institute promotes positive change in incarcerated men through four phases of its POP class. First, men complete an eight-week class of lecture, dialogue, and reflection writing. The concepts of this class are centered around the book, The Power of People; four kinds of people who can change your life, by Dr. Verna Price. Other lessons include knowledge of self, forgiveness of self and others, prudence, personal power, and the relationship between your words, thinking, emotions, decisions, actions, habits, character, and destiny. The second phase is another eight-week class named after the Work in Life, also by Dr. Verna Price. This class develops and demands college-level analytical skills to identify negative behavior associated with relationships that diminish the quality of life. The class also provides techniques to effectively manage these relationships and become a person who positively influences the circle of life. The third phase gives men the opportunity to become student teachers. These men are given the responsibility to facilitate the Silent Cry class, serve as a support group for other inmates seeking positive change, and to change the prison culture by inspiring men to achieve their greatest potential. The fourth phase deals with the men who are released from prison and have at least completed the first phase of the program while incarcerated. They are provided with the opportunity to live in the POP transitional house, attend weekly support group with other POP guys, and reap the benefits of being replanted into a network of people that promote love, opportunity, and success. Your help is needed to continue this good work. Contact the Minnesota Department of Corrections, Mr. Ron Solhiem, at 651-361-7200, and/or 1450 Energy Park Drive, Suite 200, St. Paul, MN 55108. Express your support for the Power of People Leadership and Personal Development Training class and its proven track record of helping the DOC release men into your community that are purpose driven, responsible, community oriented, and full of love. 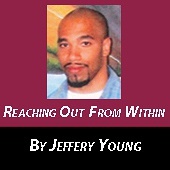 Jeffrey Young welcomes reader responses to Jefffrey Young #213390, 7600 525th St., Rush City, MN 55069. Share Share Share…P.O.P. is an outstanding program needed and proven to impact prison populations ( both employee and inmate) positively as well as recidivism and re-entry to society. CALL THE NUMBER IN THE ARTICLE TO VOICE YOUR CONCERN , DO IT FOR THOSE YOU KNOW WHO ARE OR WORK IN THE MINNESOTA DEPARTMENT OF CORRECTIONS.